Street flooding from stormwater runoff in new housing development. 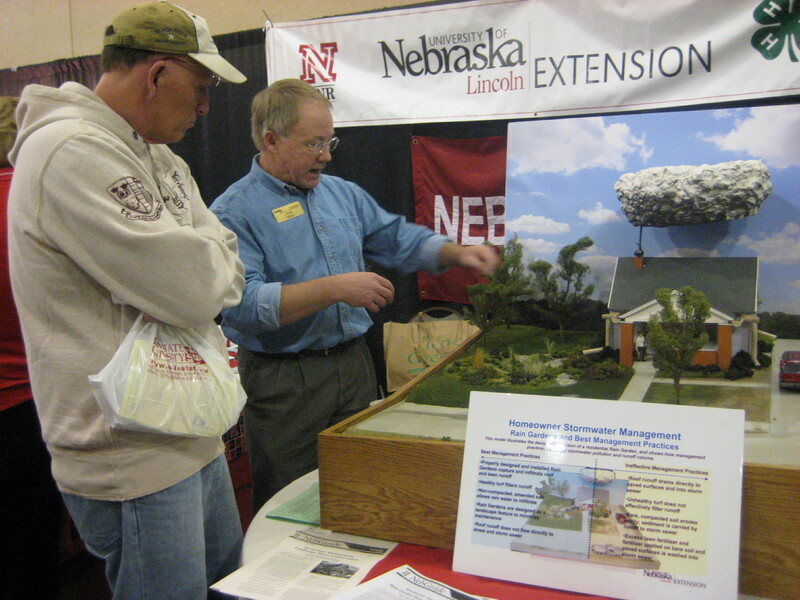 Steve Rodie (right), Extension Landscape Horticulture Specialist, demonstrates a rain garden model. Sunday with a Scientist logo. April showers bring May flowers. Unfortunately, they may also bring floods, destruction and contamination of the water we depend on. The next Sunday with a Scientist program for children and families at the University of Nebraska State Museum of Natural History in Morrill Hall will focus on stormwater management. The program will be from 1:30 to 4:30 p.m. April 21 at Morrill Hall, one block south of 14th and Vine streets on the University of Nebraska-Lincoln City Campus. "Running Rain: Keep it Clean! Slow it Down! Soak it In" will focus on the ways scientists are working to reduce stormwater runoff and improve water quality in our communities. Stormwater runoff is water from rain or melting snow that does not soak into the ground. It flows from rooftops, streets, sidewalks, bare soil, sloped lawns and other areas. As it flows, this runoff can collect and transport soil particles, pesticides, fertilizer, oil and grease, heavy metals, nutrients, bacteria, leaves and grass clippings, litter, animal wastes, and other pollutants. While rain is often welcome, it has the ability to cause major damage when it moves quickly into storm drains, sewer systems and drainage ditches. Take a photo with "Stormwater Sleuth"
Presenters from UNL will include Kelly A. Feehan, extension educator-horticulture; Thomas G. Franti, associate professor, biological systems engineering and extension surface water management engineer; Bobbi A. Holm, extension educator-stormwater management; Katie A. Pekarek, extension educator-stormwater management; Steven N. Rodie, associate professor, agronomy and horticulture and extension landscape horticulture specialist; David P. Shelton, professor, biological systems engineering and extension agricultural engineer; Patrick J. Walsh, graduate research assistant, biological systems engineering; and Erin C. Bauer, extension associate. 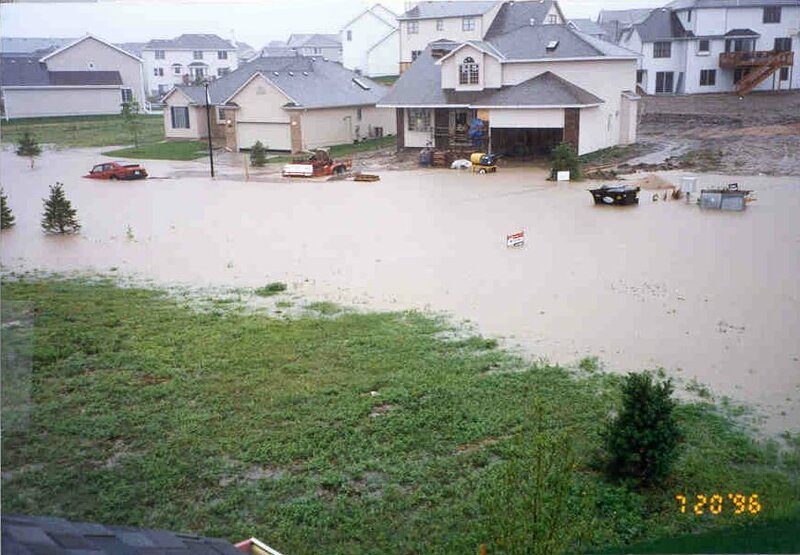 For more information on stormwater management, visit http://water.unl.edu/stormwater.